Have you ever started to share an article on your Facebook page but changed your mind because you didn’t like the way it looked? Maybe there was no image associated with the article or there was something else about the post preview that wasn’t quite right. Sure, you could have taken the time to upload your own image or changed the default description that was being pulled through, but you were in a hurry. Instead, you just decided not to share it after all. People like to share good content but they want to be able to do so quickly and easily. If anything slows down the process, they’re likely to abandon it altogether. Since sharing content drives traffic, it’s worth taking the time to optimize your site for social media. The following 10 tips will help more eyes see your great content. 1. Include social sharing buttons on each page of your site. Not only do social sharing buttons provide an easy, one-click way to share content from your site, but their mere presence on an article can act as a subtle reminder to encourage people to share something they found to be helpful or interesting. If you’re running a self-hosted WordPress site, there are lots of social media plugins from which to choose so it may take a little experimentation to find one that has all the functionality you want. Some of the most popular include Jetpack’s sharing module, Shareaholic and Social Warfare. 2. Take the extra time to craft a good title for every article. Good titles are important for a lot of reasons, including social media optimization. Many social sharing tools like Buffer and Hootsuite automatically pull in the title of an article along with its link whenever a webpage is being shared. Users of these tools can always change your default title, but that adds another step to the sharing process, which can often result in an abandoned share. Now, you don’t have to spend hours trying to come up with the perfect headliner. Just be sure that the title reflects the actual content of the article, and that it’s not overly vague or generic. 3. Optimize your images for different social media networks. An image may look terrific when someone is viewing it on your website, but due to cropping and other factors, it can look horrible when shared on social media. On top of that, what looks great on Facebook may only look so-so on Pinterest. That’s because every social media channel has its own preferences for image dimensions, and if you want to maximize your sharing potential, it’s a good idea to keep these preferences in mind. 4. Use proper Open Graph tags on your site. 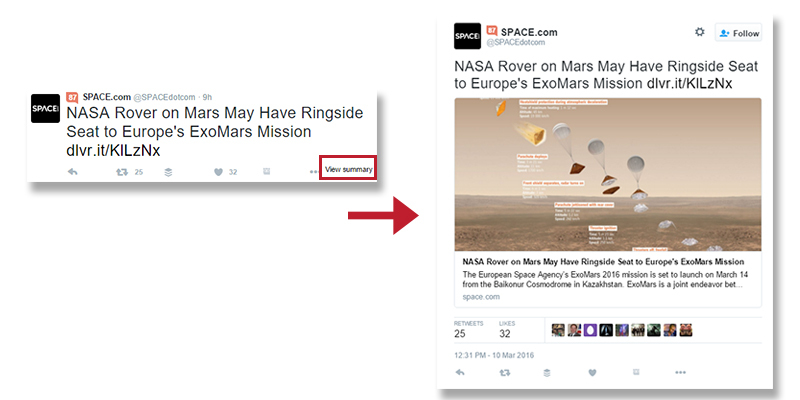 When an article is shared on Facebook, open graph tags determine how the item will appear in news feeds. If your site doesn’t specify what information to use in these tags, Facebook has to make a guess about what to display – and a lot of times, these guesses aren’t that great. The good news is if you’re a WordPress user, there are plugins – such as Yoast SEO and WP Facebook Open Graph Protocol – that let you easily customize these tags so that when someone shares a URL from your site to Facebook, you’ll know exactly what it is going to look like. 5. Set up Twitter cards. Have you ever seen a tweet with an option to view the summary of the article like the one shown in the image below? This is an example of a Twitter card, which can be a great tool to use to add an image and a short description to a tweet without using up your character limit. You can learn more about how to configure these cards for your site in Twitter’s Getting Started with Cards guide. If you’re a WordPress user, you can set these cards up easily with a plugin, such as Yoast SEO. 6. 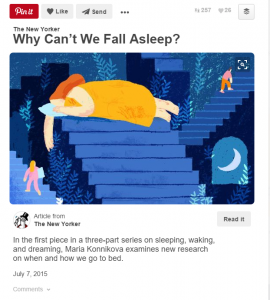 Enable Pinterest article pins. Pinterest supports a number of rich pin types, including article pins, that give viewers more information about content when it is shared. If your site is configured to support article pins, the title of the article and a short description of its contents will be included in the default display of the pin along with the image. This makes it easier for others to see that the item being pinned is actually an article, and since you can specify what text is included, you can optimize the description so that it is more easily found with Pinterest’s internal search. It’s fairly easy to set up article pins on your site, especially if you are already using open graph protocol. For more information on how to do this, check out Pinterest’s Getting Started guide. 7. Display links to your own social media profiles. Many people like to cite their sources when sharing with @ mentions on Twitter and Facebook and + mentions on Google Plus. Make this as easy as possible for your audience by including links to all your social media profiles in an easy-to-find place on your site, such as in the header, footer or sidebar of the page. As a bonus, this can help you build followers – especially if an influencer shares your content and includes your profile in a mention. 8. Make quotable statements stand out. Does your article include an interesting statistic or quote? Make sure this stands out on your page as a call-out or in highlighted text so that others can easily copy and paste it into a social media update. If you really want to go that extra mile, try using a tool like ClickToTweet that lets you track the performance of different pre-crafted messages on Twitter. 9. Help your readers by suggesting a hashtag. On Twitter, most tweets have a short life span so you want to do everything you can to help that original message get as much visibility as possible. 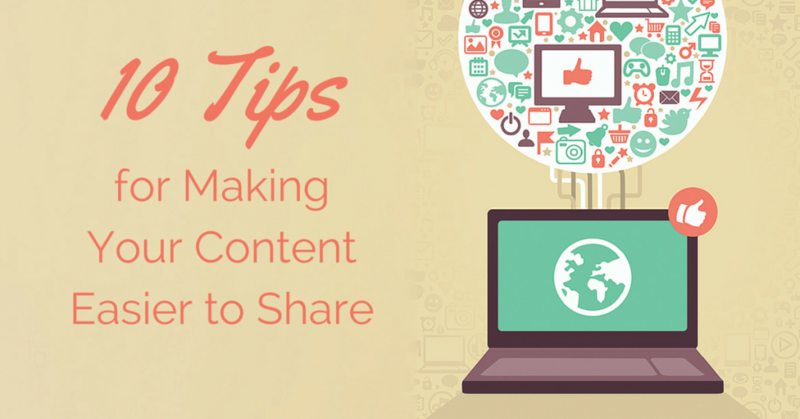 Not only will this help you get more mileage out of each share, but those sharing your content will appreciate the extra effort you’re making for them. One way to do this is to suggest a hashtag in your own pre-written messages. 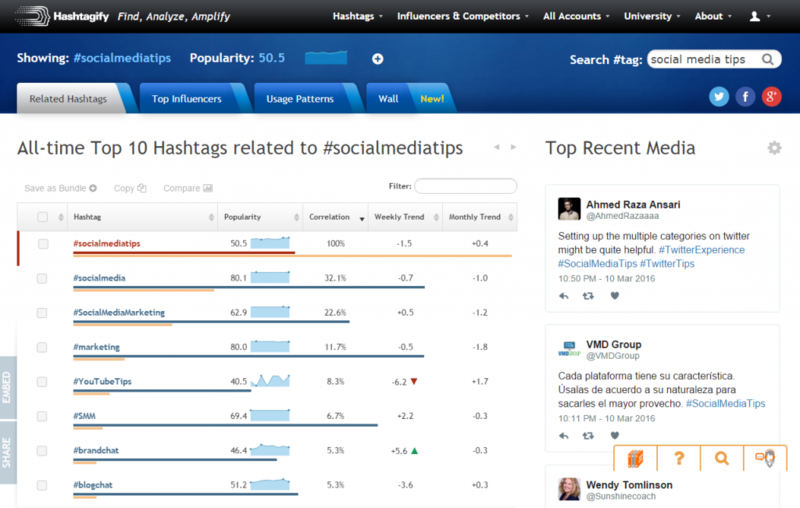 There are several tools out there you can use to do hashtag research, such as Hashtagify. As an example, if I wanted to search for a good hashtag for this article, I could enter “social media tips” into the search box at Hashtagify and get a list of popular related hashtags along with recent tweets on the same topic. 10. Make it easier for others to reshare content. It’s always nice when someone else shares your content, but it’s even better when others start resharing it. Keep this in the back of your mind whenever you’re composing default messages or descriptions. For instance, on Twitter, many still use the RT @ method of resharing instead of simply clicking the retweet button. To account for this, you might not want to utilize Twitter’s full character limit. Also, take advantage of cross-promotion strategies, such as when sharing a post on Facebook, remind people they can pin it for later reading on Pinterest and include a link to that Pinterest pin. As a final note, don’t forget to monitor your content to see which articles are getting the most shares on social media. This may help you refine your overall content strategy and drive even more traffic to your site.